Serfaus in the Austrian Tirol may not be one of the best-known resorts to British skiers, but in Europe it’s one of the most highly regarded ski destinations in the Alps. Serfaus is located in the west of the country not far from the Swiss border, on the “other side” of the mountains from Ischgl – a resort better known to Brits. 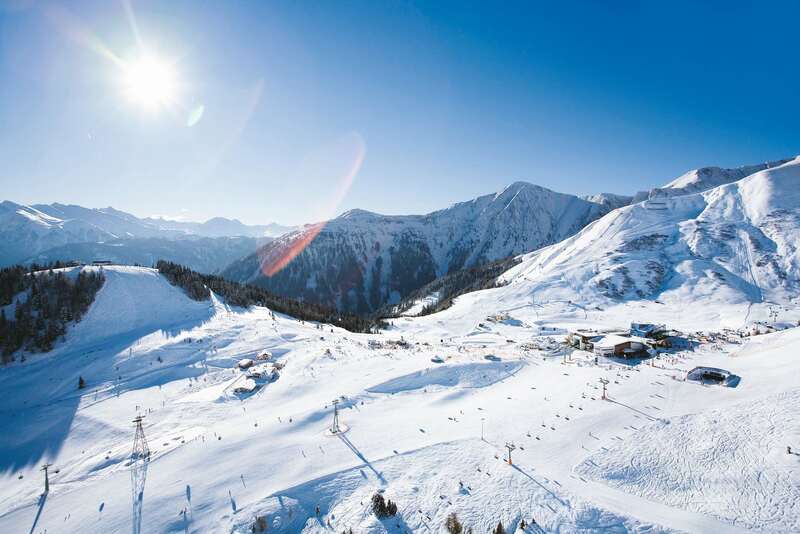 Its ski area interconnects with the neighbouring ski slopes of Fiss and Ladis to give 198km of runs in total – one of the biggest areas in Austria and indeed all of Europe and the world. “Despite the respectable size of the ski area and its high altitude (resort is at 1,600m and the peaks at over 2,800m) as well as the short transfer time from Innsbruck Airport, Serfaus is not well known in the UK,” a spokesperson for Crystal Ski Holidays, which has added the resort to its 2018/19 season offer, commented. Serfaus considers itself to be Austria’s largest family ski area. From huge, dedicated children’s areas, to family-friendly restaurants and an array of off-slope activities, it also has an almost traffic-free village where children can play in the streets. Serfaus is unique in Austria – it has an underground railway, the “Dorfbahn”, which floats on air using the “maglev” magnetic levitation system, meaning it has no track and no vibration. It has four stops from the village car park to the gondola, with stops for hotel guests and their tired children. Local skiers arriving for the day are directed to a massive parking area on the edge of the village to then take the subway to the gondola, as the resort has no through traffic. It’s not all about the families, though. Serfaus also has a series of sunny, open bowls, and intermediates have a huge 123km of reds and a range of fun slopes to test out. Beginners can build skills on the wide green and blue runs, and experts have a choice of black runs and additional off-piste to explore.